Listening devices are specialized private investigator tools that are used to monitor sounds or conversations which are not normally audible to the unassisted ear. There are various listening technologies available, but the most commonly used by private detectives include phone recorders, amplified bionic ears, long-range microphones, through-wall devices, miniature hidden microphones and portable voice recorders. This article discusses the legal use of listening technologies in the professional investigation industry. There are a great number of uses for specialized audio monitoring and recording devices in the investigative arts. Listening devices are helpful in recording phone conversations or personal conversations that may provide valuable insight for a case or even evidence to help solve an assignment. Listening technologies are great when access to an investigator, working close to their subject, may be greatly limited or denied. Long range listening technologies are also incredibly useful tools in covert surveillance, since they allow a P.I. to remain out of sight and still hear and document everything that occurs far away. 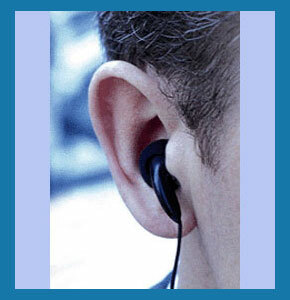 Portable voice recorders can be concealed on the person or hidden almost anywhere. These are very useful for documenting audio evidence and no investigator should be without one at all times. Hint: Buy a cell phone with one built in. Bionic ears and long-range microphones are terrific for hidden surveillance or long distance audio monitoring. Through-wall listening technologies allow clear sound reproduction, even through solid surfaces, such as walls, floors or ceilings. Phone recorders and tiny microphones can be placed in a home or office to record or monitor all conversations. Make sure to fully understand the legal ramifications of utilizing audio monitoring and recording devices prior to use. Eavesdropping is against the law in many circumstances and is highly regulated in many jurisdictions. Do not take chances that you may taint evidence with illegal activity or even wind up in jail. For detailed information about using audio monitoring and recording equipment in your investigative work, contact a specialist in covert audio technology or consider purchasing quality private investigation equipment from a specialty store or internet supplier.